Sheldon Vincent restaurant manager and culinary team of True Blue Bay Resort. For the second time in row, True Blue Bay Resort has captured first place in the Pure Grenada Nutmeg Spice Festival Culinary Competition. 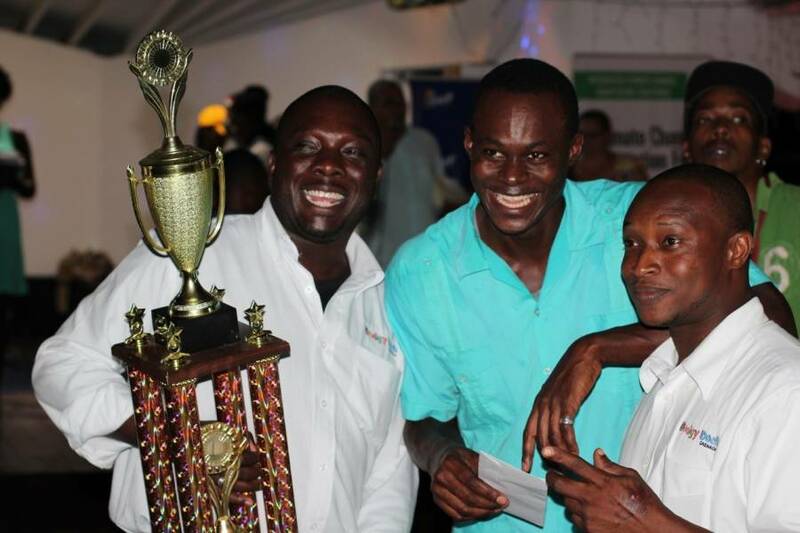 Five of Grenada’s top restaurants competed in this year’s challenge, which took place over the two week period of the Festival from 24 November to 8 December. In keeping with the theme of ‘Spice’, each restaurant prepared full course menus — including a cocktail — for judging on select evenings. Overall presentation, artistry and taste were the categories being judged. In the true flavour of the Festival, each restaurant presented a selection of delicious, spice flavoured dishes — from appetisers to desserts — which remained on their menus for the duration of the Festival. At its conclusion the final scores were close however, True Blue Bay Resort managed to retain their championship title for the second time. The Festivals’ sponsors played a crucial role in the success of this year’s events. They inlcude: Caribbean Export, Compete Caribbean, True Blue Bay Resort, Wave Crest, Marketing & National Importing Board (MNIB), GrenAdapts, Prickly Bay Marina, Cash Wiz, CIBC FirstCaribbean, Kalinago Resort, Spice Island Beach Resort, Republic Bank Grenada, Digicel, Grenada Tourism Authority (GTA), Grenada Electricity Services Ltd. (GRENLEC), Grenada Cooperative Bank. Mt. Hartman Bay Estate Cave House Restaurant captured second place; Mt. Cinnamon’s Savvy’s Restaurant placed third; Coyaba’s Arawakbana Restaurant was awarded fourth place with Kalinago’s Fedelis Restaurant in fifth place.